When it comes to crust, graham is good, Oreo is outstanding, and hemp is hearty and homey. What? You’ve never had a hemp crust? I only feign surprise. 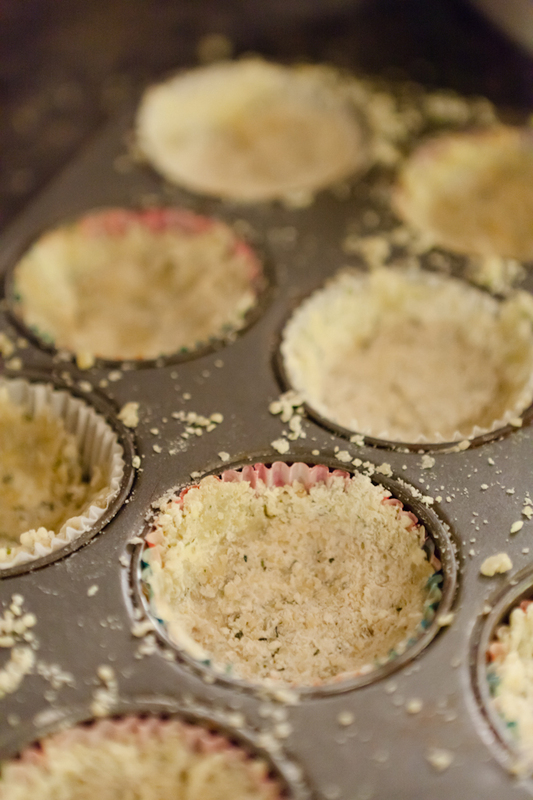 Most people haven’t tried hemp crust or a hemp milk custard like the one that fills my hemp tarts in cupcake wrappers. The reason why stems back to a misunderstanding about hemp that I addressed in my post on hemp seeds. These hemp cupcakes will not get you high. What Do Hemp Tarts Taste Like? My friend and easily quotable blogger Andrew Veety described the crust of the hemp tart as tasting like a peanut butter cookie. I’m not a peanut butter fan and I enjoyed the crust, so I’d argue that the flavor is less peanut butter and more generically nutty. It’s crunchy in a messy way; keep a plate handy to catch all the rogue crumbs – you’ll want to eat those as a cupcake chaser. Rather than providing a complementary flavor, the hemp milk custard almost perfectly matches the flavor of the crust. It serves only to add moisture, like the required glass of milk helps wash down a crispy cookie. 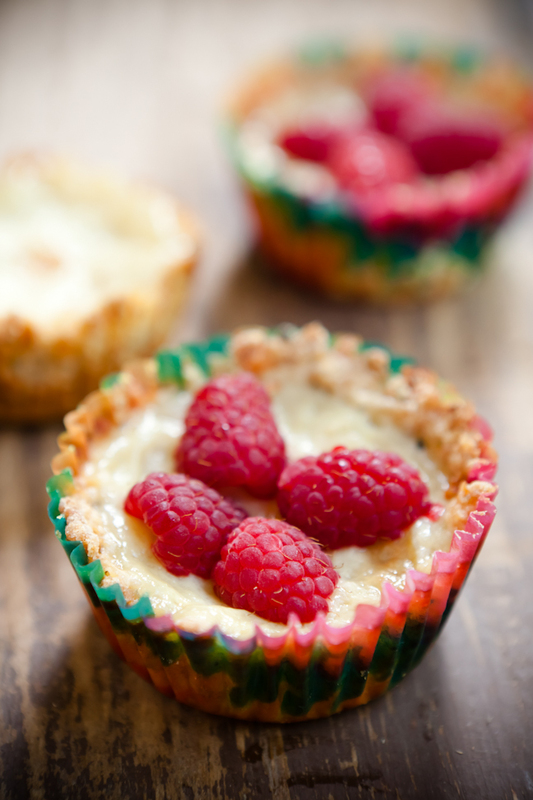 The fresh raspberries on top of the tart add vibrancy both in color and flavor to the simple tarts. Replace them with the berry of your choice, but I wouldn’t leave them off. 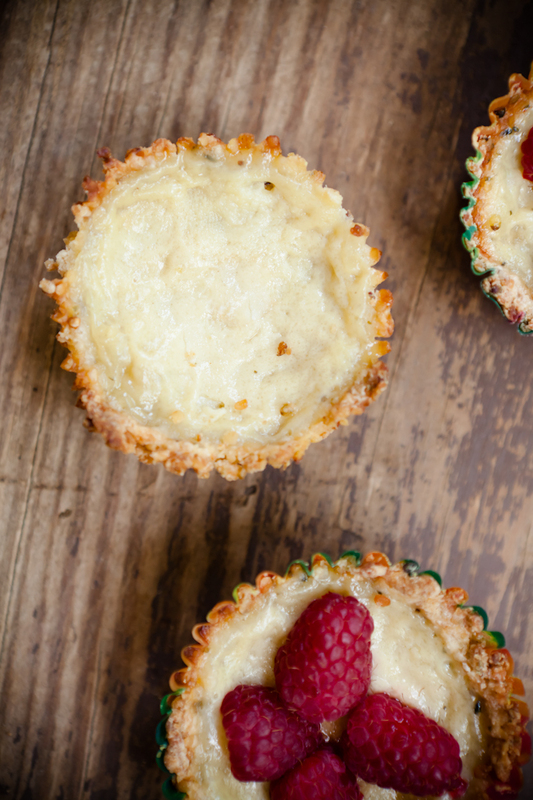 The fresh raspberries on top of the tart add vibrancy both in color and flavor to the simple tarts. Replace them with the berry of your choice, but I wouldn't leave them off. Divide the crust evenly between 24 cupcake liners. Press the crust up the sides of the liners all the way to the top. The crust should be at least 1/8 inch thick at all points. If it is too thin, the crust may burn. In a medium-sized bowl, beat eggs thoroughly. Mix in sugar, salt, vanilla, and lemon zest. Mix in hemp milk a little bit at a time (too much hot milk at once could start to cook the eggs). Spoon custard into prepared crusts. I got the hemp seed crust recipe by modifying a pine nut crust recipe from TexasMonthly to use hemp seeds instead of pine nuts.